We may be living through a golden era for content, but it is also the age of big data audience analysis, empowering broadcasters with more information than ever before to make their renewal and cancellation decisions. Ampere’s analysis of renewals and cancellations between September 2018 and March 2019 reveals that the streamers have been the most ruthless, with their commissions struggling to make it beyond a second series. At four seasons, lifespan is longer on a cable network, while the longest-running shows exist on the free-to-air channels, where a series can expect an average of 6.5 seasons before getting the chop. So how are the different media players managing their content commissioning strategies? VoD services posted the lowest number of seasons with cancellations coming after an average of 2.1 seasons. Netflix accounts for 68 per cent of VoD cancellations in the USA. 12 of Netflix’s 13 cancellations since September 2018 occurred at three seasons or lower, including four Marvel shows, as well as Originals comedies All About the Washingtons, The Good Cop and Friends from College. 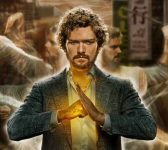 Over half of Netflix’s cancellations have been in the Sci-Fi genre. No streaming series was renewed or cancelled beyond a seventh season. The Broadcast Networks accounted for just 22 per cent of cancellations and had by far the highest average cancellation season at 6.5. Long-running series reaching their conclusion include Supernatural (The CW) and Criminal Minds (CBS) at season 15, and Last Call with Carson Daly (NBC) ending after its 17th season. With half of broadcast networks’ cancellations occurring at season two or below, if a show leaps this hurdle, the potential to run and run is close to infinite. VoD services renewed 2.2 times more content than they cancelled – by far the lowest of any commissioner group. At 62 per cent, renewals were dominated by Netflix, which has focused on Comedy. This genre represents nine of their 26 renewed titles. Five titles were Animated Comedy, which enjoyed an average renewal rate of 3.4. Netflix allowed an eclectic set of hit shows to run longer than its competitors, including a seventh and final season for Orange is the New Black, and a sixth season for Bojack Horseman. No other show was renewed beyond a fourth outing. At 89 titles, the Cable Networks were the largest renewers – that’s more than three times as many series as they cancelled. 78 per cent of cable renewals were for a fifth season or less, although certain unscripted titles, such as HGTV’s Caribbean Life and Island Life franchises, have been going for 15 seasons or more. Cable networks had the smallest gap between average cancellation and renewal, with both hovering at around four seasons. Running the longest, and the only commissioners to renew anything beyond 16th season are the Broadcast Networks. They renewed 4.7 times as many shows as they cancelled. Unscripted content accounted for five of the nine shows renewed beyond a 16th season, including ABC’s gameshows Wheel of Fortune (season 38) and Jeopardy (season 37). The longest running series of all is daytime soap Days of Our Lives (NBC), which is currently at season 55. NBC is also breaking records with a 21st season renewal for Law & Order: SVU – the longest running primetime Drama ever in the US.